Studies* show that your property can gain $10,000 in value for every $1,000 in yearly savings on your electrical bill. You would also break even from your investment in approximately 8 years, without taking into account state or federal incentives, which could cut that period in half. Solar panels have a warranty of 20-25 years, so that means you would be getting free electricity for a long time! With a PV system, you own the electricity that you produce. You can reduce, stop paying, and even start selling your excess energy to the utility. Therefore, your property would be immune or receive a minimal impact every time the cost of electricity rises. 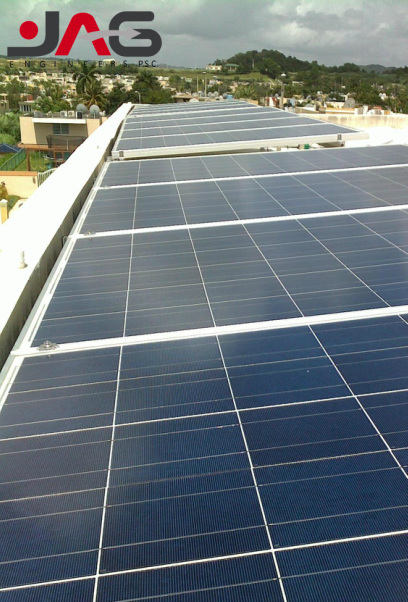 Solar systems are stable, require a minimum amount of maintenance and are very safe when installed by qualified personnel. And if you opt for a battery backup option, you would have energy during blackouts, without the inconveniences of an emergency power generator, like noise, smoke, management of propane, gas or diesel, etc. While more and more people continue moving towards using renewable energies like solar power, the impact of burning fossil fuels is greatly reduced, which ends up protecting our natural resources.